The Islamic Movement in Nigeria, IMN, says it has uncovered plot to kill Southern Muslims and Christians residing in the Northern part of the country, stressing that the planned killing will displace many people. 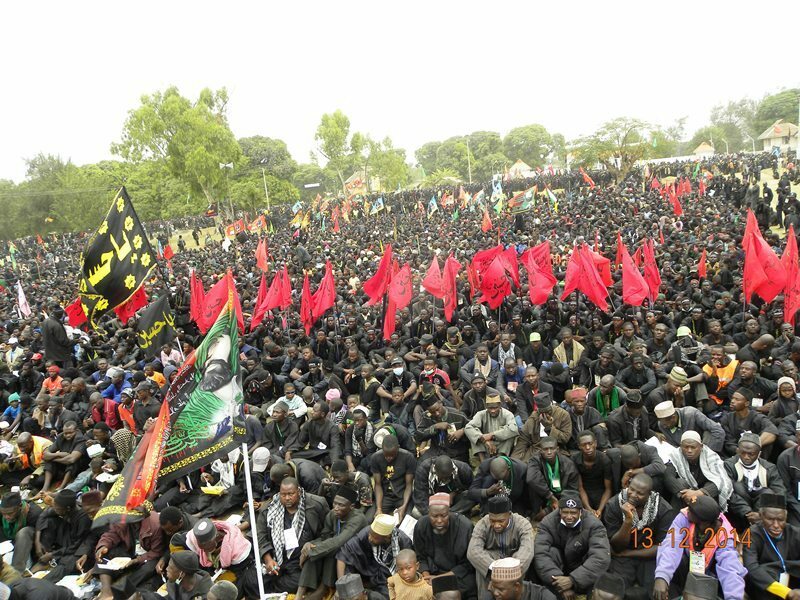 IMN said those who are against its annual ritual plans will attack its members under various guises during the trek, adding that some of its members have been marked for assassination. This is coming at a time when, the Kaduna State Government had officially released the Gazette on IMN, declaring the movement as an unlawful society. The statement reads, “It has come to our notice that security agents have perfected plans to cause mayhem during our annual symbolic Arbaeen trek, commemorating a similar trek the Umayyad ruler Yazid subjected family members of Prophet Muhammad (AS) to, from Karbala to Damascus in the year 680AD. “This trek is a religious duty, which the faithful embark on, as a mark of answering of the call to help of Imam Hussein (AS) on the plains of Karbala, which many quotations of our Prophet (S) enticed faithfuls to answer, even if it were to be by crawling. It is purely symbolic and is done by millions of faithfuls worldwide. “In Nigeria however, opponents who do not want anything of that tyranny against the family of our Prophet (AS) remembered and exposed had always used various plots and evil schemes to demonize the symbolic trek and even stop it by hook or crook means and the use of force. “We have observed that the idea of trekking to mark or celebrate an event is not alien or new after all. Several people trekked much longer distances to celebrate the victory of President Buhari at the polls last year with pomp and pleasantries. “That was a political trek. Ours is a solemn trek and a religious duty. We never force anyone to embark on it, we never molest anyone from start to finish and we must be allowed to exercise our religious obligation. “This year however, credible sources have confirmed to us that they plan to attack the trekkers in various guise at multiple locations and also burn residences and business premises of the trekkers back in their towns while they are away on the trek. “This evil plot involves the use of thugs along all the routes, who would attack especially at night while the trekkers take a rest in camps, kill as many as possible and raze their temporary shelters. Transporters will also be threatened with destruction of their vehicles if they allowed them to be used in anyway for the symbolic trek. “Part of the plot also involves telling hospitals not to accept victims of their planned attacks for treatment. “A list of very prominent members of Islamic Movement in Nigeria (IMN) has also been drawn, and the later are to be targeted for assassination in this devilish scheme. “It has been arranged that southerners both Muslims & Christians that reside in the north will be killed in order to create an influx of refugees from North to Southern part of the country. All these are what the exposed plot called measures to be taken in the short term. “The long-term plans involve the continued use of paid preachers, who would intensify the hate preaching against IMN, and these will be availed with various facilities to ease their assignment. “Furthermore, it was also agreed that more civil organisations will be bankrolled to keep denting the image of IMN in and outside the shores of this country. This they said must be taken seriously because the IMN is garnering sympathy and support from unexpected quarters in and outside the country, which they resolved to halt and reverse by all means possible. “The Islamic Movement in Nigeria would however once more like to assure the general public and well-meaning Nigerians as well as the international community that the annual symbolic Arbaeen trek, which comes up in few weeks time, remains a peaceful religious duty to be conducted by faithfuls as have been done in the last five years since it was started. “It is on record that not even last year, when security agents under the cover of Boko Haram detonated a bomb killing 32 persons along the Kano axis, was the trek even disrupted talk less of turning violent. In spite of the spurious allegations of blocking roads, an unjustified charge, we do not prevent motorists and other road users from using the roads. It is also on record that we lost quite a number of persons in previous years who were knocked down by reckless drivers during the trek, which would not have happened if we blocked the roads or prevented others from using the roads. “IMN is being vigorously persecuted by all levels of government, using all coercive apparatus of state, clearly in flagrant violation of our right to religious gathering and association. These efforts by security forces to scuttle the annual symbolic Arbaeen trek must be seen in that light. We therefore draw the attention of the public and the international community that whatever happens to IMN members during the trek, the Nigerian authorities must be held responsible.